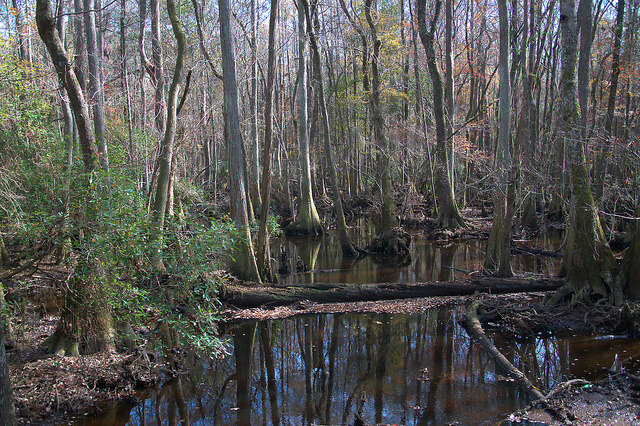 The blackwater Seventeen Mile River can be hard to find, largely due to the fact that it’s considered an “ephemeral river”. This means that it’s dry as often as it’s wet, often more so. 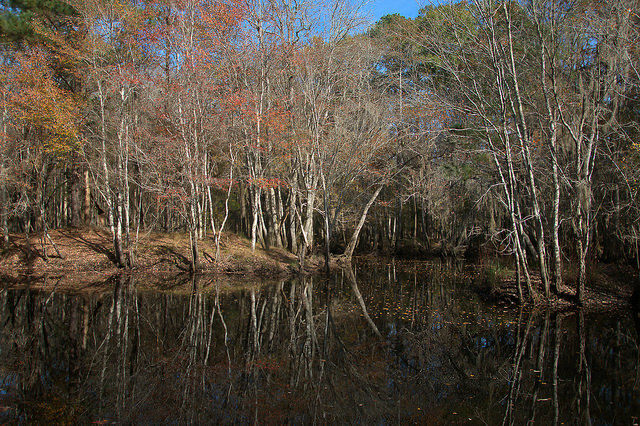 Much of it is located on private property, as well. 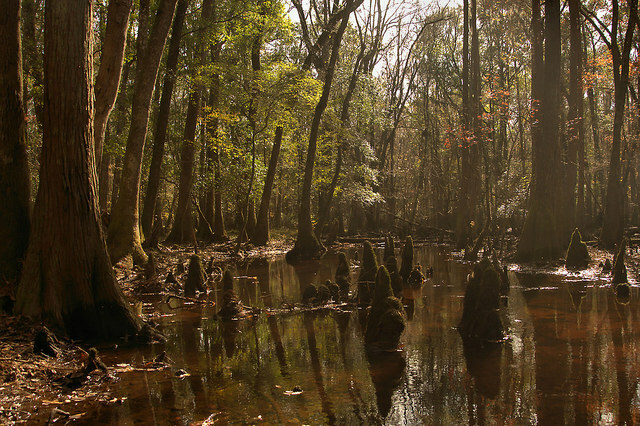 The best place to see this natural wonder is at General Coffee State Park. 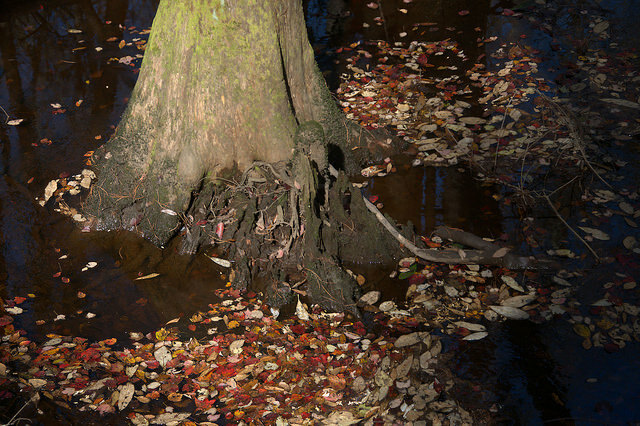 If you’re a fisherman, the best time to visit is after a good period of rain. 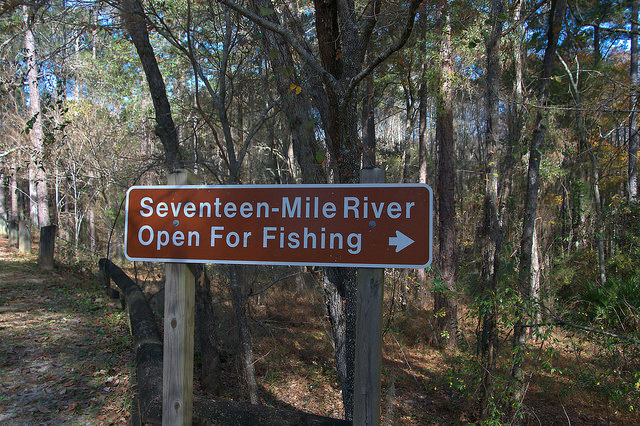 As a navigable stream, the Seventeen Mile River is nearly impenetrable, but several open “lakes” provide good places to fish. Gar Lake, seen here, is one of the easiest to access. 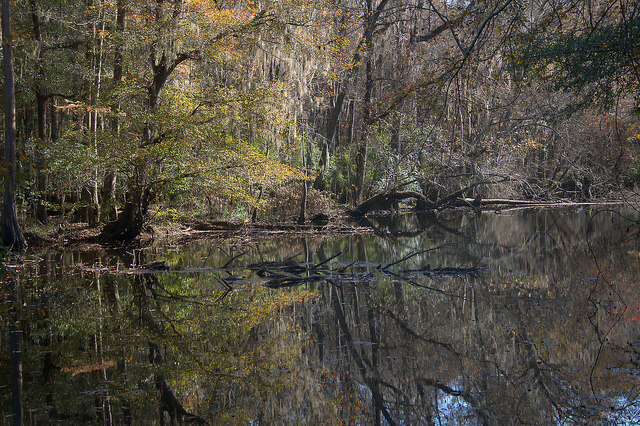 The park prides itself on being one of the best kept secrets in the state. Its protection has enabled rare plants with limited ranges like the Green-fly Orchid (Epidendrum magnoliae) and Narrow-leaf Barbara’s Buttons (Marshallia tenuifolia) to survive. Native and introduced ferns are abundant here, as well. 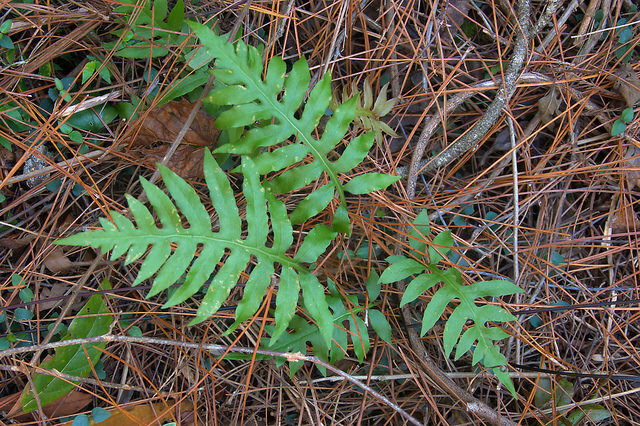 Macrothelypteris torresiana, known as Torres or Mariana Maiden Fern, is fairly common here. 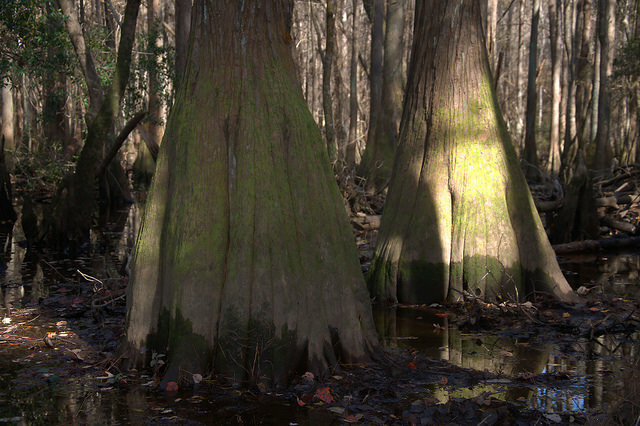 Though widely cultivated for its beauty, it’s a non-native and therefore considered invasive. 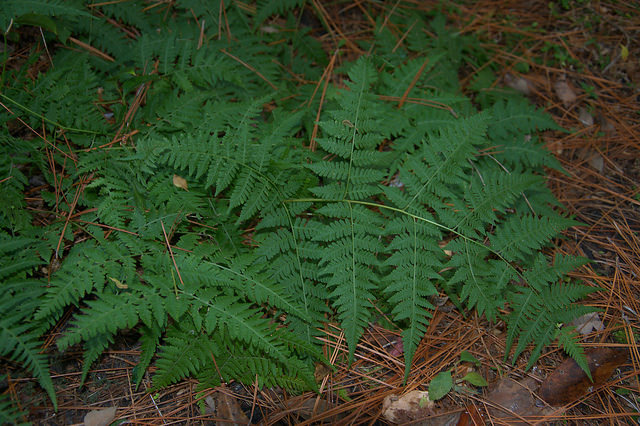 Woodwardia areolata, or Netted Chain Fern, is a widespread native and likely much more recognizable. 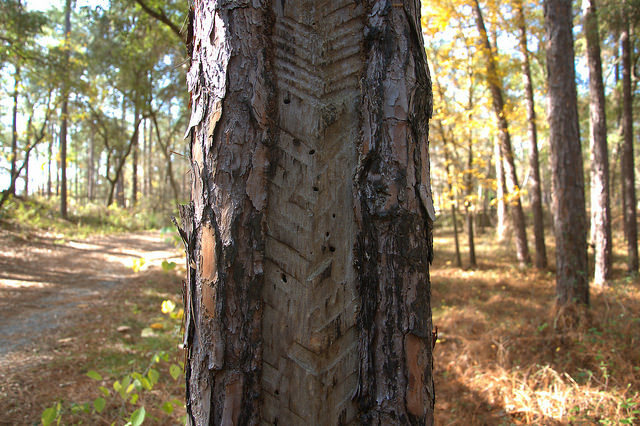 Evidence of the naval stores industry can be found scattered around the river, as seen in the “catface” scar on this pine. 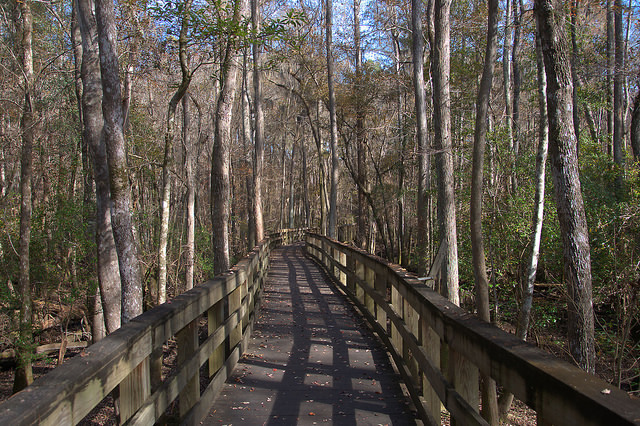 Several long boardwalks provide easy access to the river and swamps and make for one of the most peaceful walks in South Georgia. 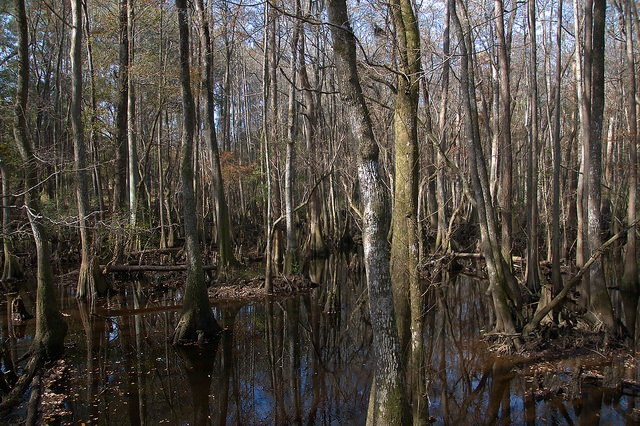 Many would just call this a swamp. I think of it as a piece of paradise. 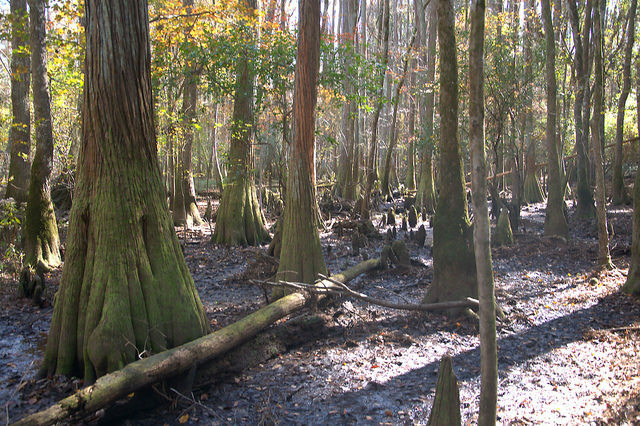 The knees are visible everywhere, especially in the dry beds interspersed throughout the landscape.